Applications: SME offices, Retail outlets, Restaurants, SOHO, Warehouses. 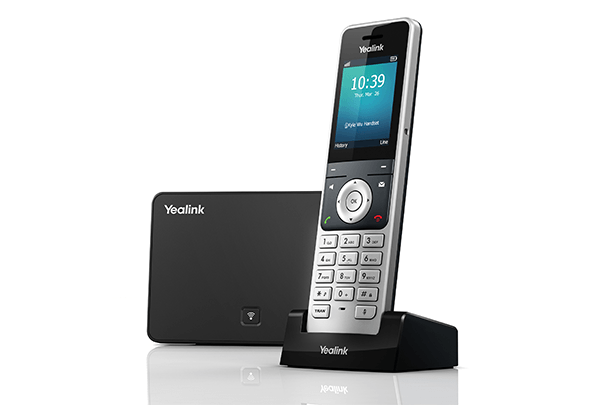 The Yealink DECT desk phone W41P is a great complement to businesses who have or need Yealink DECT solution. 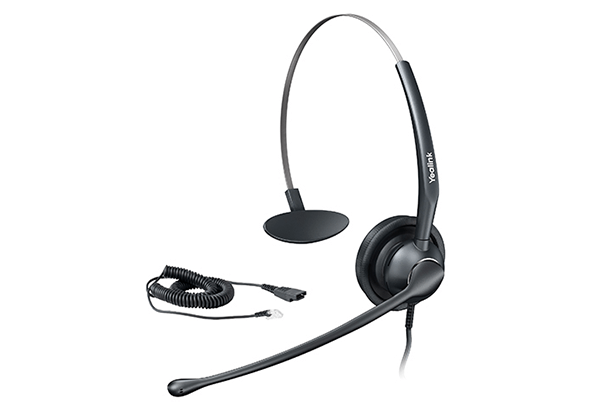 available at a glance with vivid LED indicators and a 2.7” 192×64-pixel screen display on T41S. 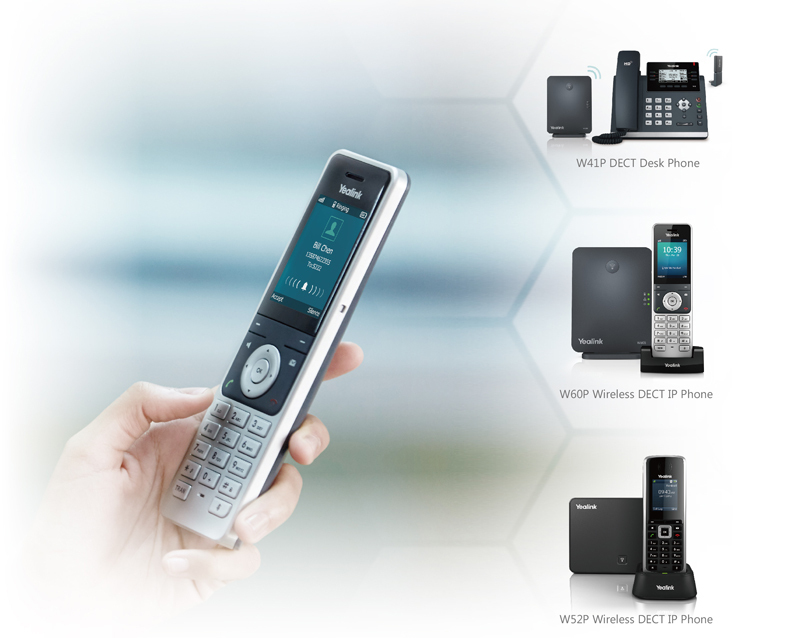 W60B suppports up to 8 DECT handsets in total)*. With deployment workload impressively reduced, it’s true plug-and-play. 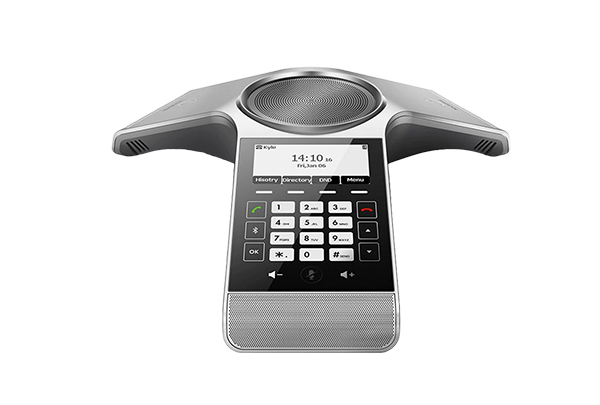 The Yealink DECT desk phone W41P is a great complement to businesses who have or need Yealink DECT solution. 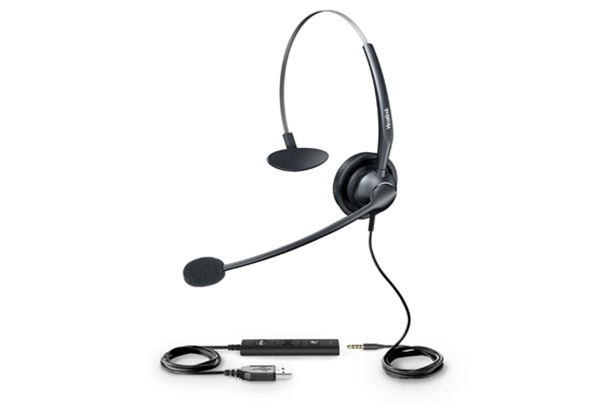 As a desk phone, it provides simplicity of use with the familiar digital keypad as well as rich navigation and line keys. Information is available at a glance with vivid LED indicators and a 2.7” 192×64-pixel screen display on T41S. 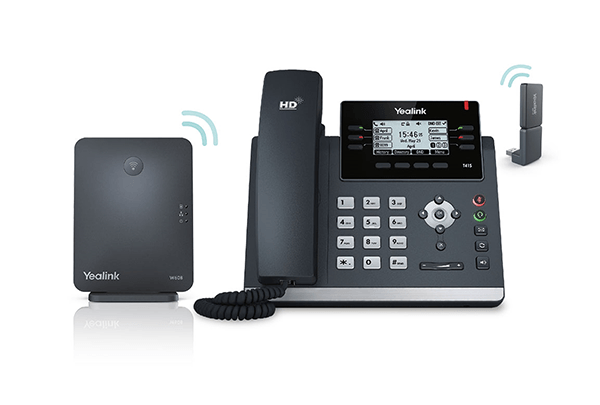 The integration of Yealink DECT dongle DD10K enables T41S to work concurrently with the Yealink DECT system as a handset (Yealink W60B supports up to 8 DECT handsets in total)*. With deployment workload impressively reduced, it’s true plug-and-play. 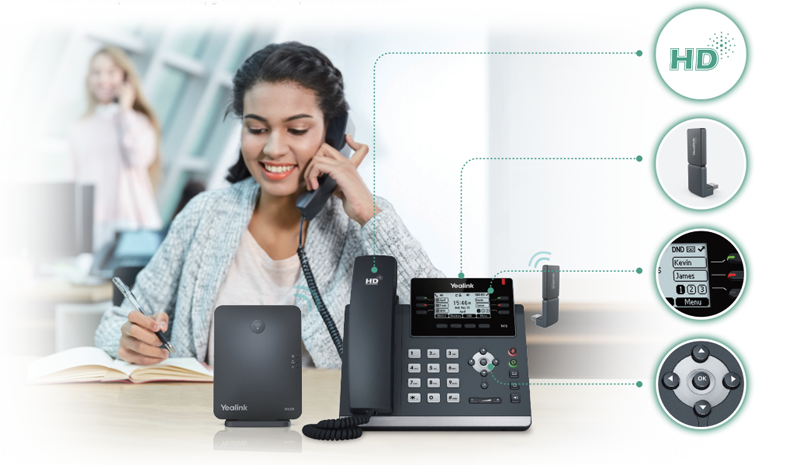 The Yealink DECT phone solution enhances communication productivity and flexibility for on-the-move employees in various business segments. 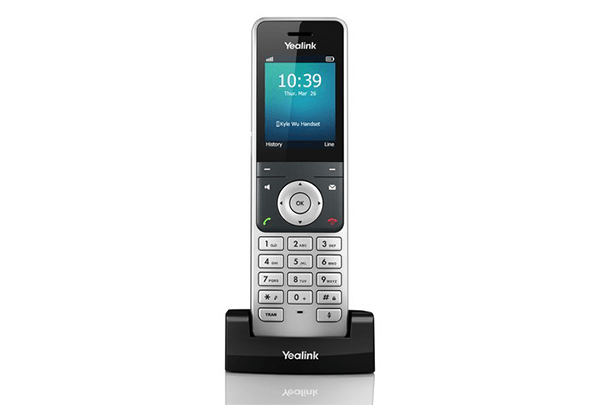 The new Yealiink DECT desk phone W41P is a package of T41S, W60B and DECT dongle DD10K; it offers the user a delightful interface and exceptional HD voice quality in addition to the ease of deployment that reduces IT department workload. 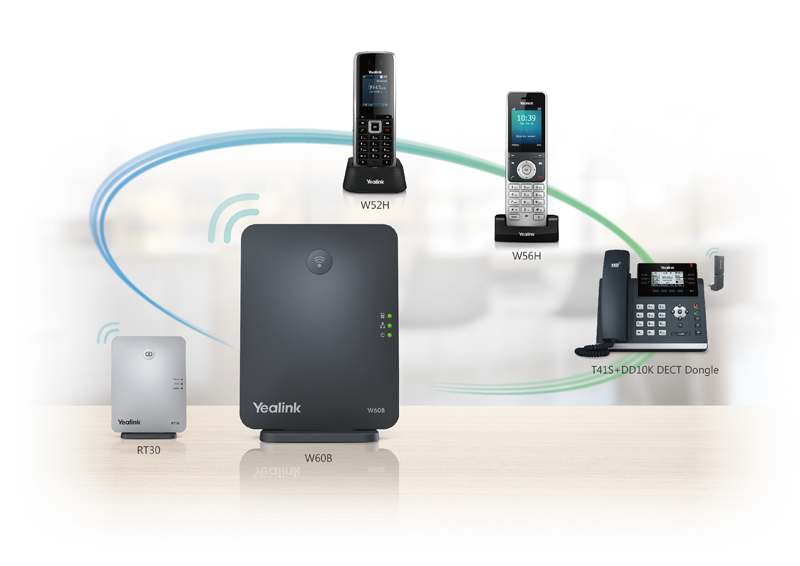 It’s time to equip your office with Yealink’s scalable, feature-rich and HD DECT IP phone solution so that you can enjoy absolute flexibility in your business communications. 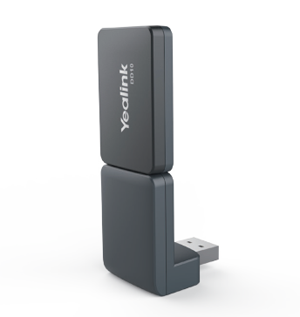 The Yealink DECT dongle DD10K enables T41S/T42S to work concurrently with the Yealink DECT system as a handset after pairing with Yealink W60B DECT IP base station. 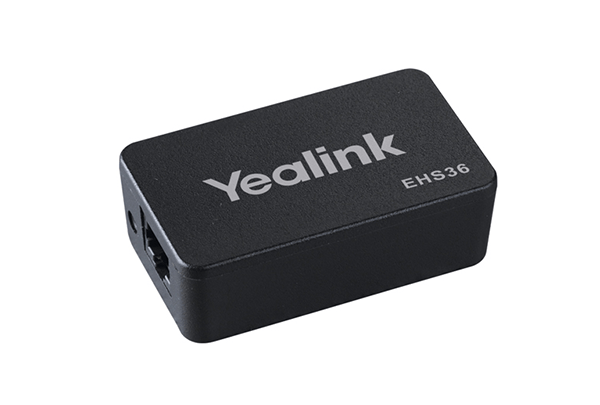 Supported by a powerful transmission rate of 552kbit/s, this solution provides you with a quick and reliable DECT connection without wiring or cabling troubles and gives you the privilege to enjoy wireless communications in minutes. 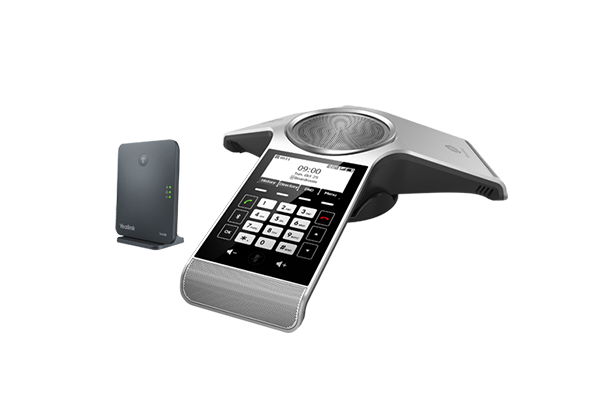 The launch of these new products is another step Yealink takes to complete its DECT IP phone solution, offering delightful user interface, exceptional HD voice besides the ease of deployment that reduces IT department workload. 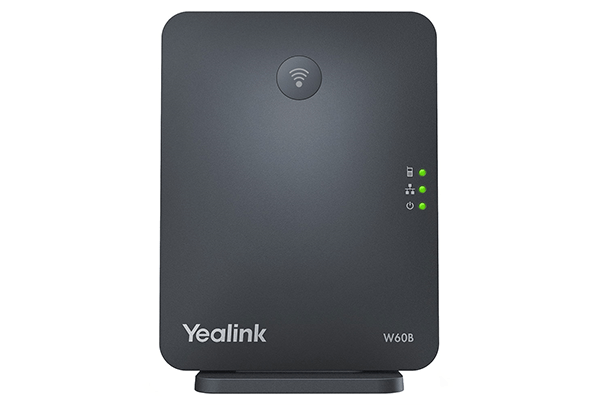 Customers from various business segments will be able to enjoy the scalability and flexibility of communication delivered by Yealink DECT Solution.